I asked last week in the intro post if you might be blinded by your assumptions about God. Sometimes we can get stuck in spiritual rut, and in that rut we can’t see God for who he really is. In the passage we studied this past Sunday, Luke 9:37-45, the disciples were stuck. The nine disciples who did not go up the mountain stayed behind and were unable to cast out what seems to be a powerful demon. Then after Jesus easily deals with the demon, he tells the disciples more about his coming troubles. Jesus tells them about his coming betrayal. A change is taking place. We’re going to see it more fully starting next week. For three weeks in a row now, though, Jesus has mentioned something about his coming suffering. In Luke 9, he referred to it verse 22, in verse 31 and now in verse 44. But the disciples do not understand. Its meaning was hidden from them, Luke tells us. But why was this hidden from them? Is Jesus hiding something from them? No, he just told them three times. It is not so much that something is being hidden from them, as Jesus has been very forthright with them, but more that the understanding of the information, the meaning of the information is hidden from them by their own preconceived notions of what the Messiah should be. They are stuck in a rut, blinded by their assumptions about him. They saw him as a superman, with untold power, and put him on a pedestal. Everything he was doing was fitting with their preconceived notion, so I don’t blame them. As the Jimmy Kimmel trick showed us in the intro post last week, we could say that the disciples thought they were looking at an iPhone6s, when Jesus is saying “no your views are actually the old iPhone”. They were thinking bigger and better, when Jesus was about to lead them toward smaller and harder. Our society is enthralled with bigger and better. The way of Jesus is often smaller and harder. We don’t like to hear that. The disciples would not have liked to hear that. Maybe they had an inkling of something wrong, a premonition, because Luke tells us that they are afraid to ask. I have to admit, it would be confusing to be the disciples. They have just totally failed at casting out a demon, but Jesus defeats the demon with ease. That would be embarrassing. Then Jesus has just said “unbelieving and perverse generation” to them. That would be hard to take. And yet he is still the same powerful Jesus, and everyone is amazed. If things keep going like this, the crowds should keep growing, and Jesus can eventually take the throne as Messiah. And that is where we need to examine our faith in Jesus. In this episode, I think it is important to see a correlation between the inability and lack of faith of the 9 disciples who could not exorcise the demons, and us! Those nine had seen the power of God evident so often in the life and ministry of Jesus, but why could they not access this power now? We, too, know the power of God. We read about it in the Bible. We experience it in our lives. We know God is the one true power, and his power is limitless, but how often do we feel disconnected from this power? Jesus says that those disciples were unbelieving, lacking faith, disconnected from the power of God. The demon they were up against, he says in Mark’s account of the story, “comes out by prayer and fasting.” To access the power of God, to get out of their rut, they needed to practice prayer and fasting. They go together. Fasting enhances prayer. Fasting without prayer might be a good self-sacrificial discipline in and of itself, but it can enliven prayer. I encourage you to look at those two areas of your life. Prayer and fasting. Are you stuck in a rut of seeing God one way? Are you stuck in a rut in your spiritual life? Will you increase your prayer and add fasting? And, are you willing to do this – knowing that His plans might be different from your plans. His plans are better – but, might not seem to line up with what we are expecting always. Blinded by our assumptions about God? See that? People were given a phone from 8 years ago, told that it was the newest version of the phone, and they couldn’t see it any other way. It doesn’t matter that the technology has changed a lot in 8 years, faster processors, higher resolution displays, lighter, thinner phones. Those people could not see any of that. Why? They were blinded by their assumptions. They were told they were receiving the newest phone, and that’s all they could see. I wonder if we are like this with God. I wonder if we have him all figured out. But what if God is different from what we think? Tomorrow at Faith Church as we continue our study in Luke, we’re going to find some people who think they have things figured out. They’re about to be surprised. The people are the disciples. 9 of them at least. If you want to prepare for the sermon, read Luke 9:37-45, and we welcome you to join us at Faith Church. If you’ve ever thought something like that, you are not alone. Most of us have thought that in a moment of frustration. Or we wish we could talk with God all the time. In Psalm 4, the writer of the psalm, Israel’s famous King David boldly says “Answer me when I call to you, O my righteous God!” I read that and I think, “Yikes, David, you better watch your mouth.” Maybe he is not demanding. Maybe he is desperate. And we can identify with that. Often we are desperate to hear from God. You fill in the blank. What life situation would love God to talk with you about? Raising kids? What to do about the future? A friendship? A job? An expenditure? There are so many times when we wish we knew what God’s will for us is. And we can, with David, cry out “Just tell me what you want me to do, God! Answer me!” Will he? 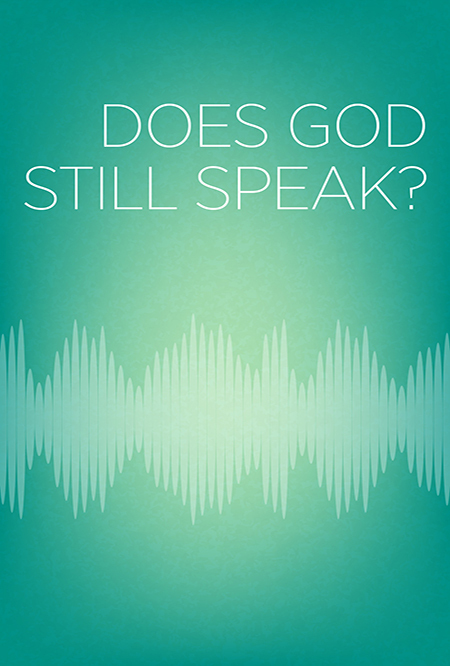 Does God still speak? If so, how? Sometimes we hear from him when we least expect it. As we continue our series in Luke, we come to Luke 9:28-36, and through an unexpected and freaky situation, some disciples of Jesus are about to have an experience of a lifetime. One they would never forget. One they would write about years later, as if it happened the day before. They’re going to hear the voice of God. But what will he say to them? Join us at Faith Church on Sunday to find out! Many are infected and don’t know it. The virus is MTD. What is MTD? Read on to find out, and how Jesus responds to MTD. Being a disciple costs something, Jesus says. Remember that disciples are followers. They do what the master does. Are you disciples of Jesus? You can evaluate yourself: do you do what he does. In this passage he tells them that his way will involve total self-sacrifice. Because that was his way. That is what he would do. And that is what he did. Those disciples hearing him talk about this high commitment might have been wondering what he meant. All they had known up to this point, with a few rare exceptions, was a growing ministry and adoring crowds and miracles and popularity. If I were them, I’d be thinking, up to this point that it was awesome following him. Who wouldn’t want to, when things were so amazingly good? So what is this business about him dying, and him wanting them to deny themselves, carry their cross daily and losing your life and Jesus being ashamed of them? He got pretty depressing fast, didn’t he? It’s pretty clear that the disciples, in this general timeframe didn’t fully understand. If you jump ahead to in the story, after another amazing miracle in front of another large crowd, he tells his disciples that he is going to be betrayed. Luke tells us that the disciples did not understand. So back to his teaching above, I think it important that we see that this was not a teaching that went deep into the disciples’ hearts and minds. It wasn’t like they heard the teaching and instantly decided to give their all for him. In fact, we know exactly what would happen. Fast forward a year or two to the end. In the final days, he is arrested because one disciple betrays him. In a few hours after that another disciple, one of the inner circle of three, Peter, the same guy who here has just said boldly that Jesus is the Christ of God, will end up denying Jesus three times, saying I never knew him. And all the disciples will flee. Only John and some of the women will have the guts to show up to say goodbye to him as he dies on the cross. The lesson of unbelievable commitment didn’t seem to sink in very far. So why would Jesus even teach it? Was it a waste? Is it too hard? Too radical to expect that of your followers? Too difficult to deny yourself? Maybe Jesus shouldn’t set the bar so high. Maybe he was wrong on this one. Let’s look at how this played out in the disciples’ lives. When those men and women realized that he rose again, things changed. Not to mention the fact that they hadn’t completely given up. This teaching did get inside them. When he died on the cross, they could have all returned to their regular lives as fishermen and such. Many in the large crowds had turned away over the years. But those 11 remaining disciples, and the 109 others stayed true. They stayed in Jerusalem, waiting, scared, but they did not give up. When they saw the risen Jesus, when they touched the nail holes, they were changed. The seed of the message that he planted here in 9:23-27 that year or two earlier now grew roots and started to blossom. They were not ashamed. They weren’t perfect. Jesus had to pay special attention to Peter, to restore him. But after meeting with the risen Jesus, Peter was a changed man, and never again was there any doubt that Peter was denying himself, taking up his cross daily, losing his life for the cause of Christ. No doubt. In fact, after the resurrection, after being restored, after the Ascension, after the coming of the Holy Spirit at Pentecost, Peter could answer the question “Who is this?” with a much deeper, truer understanding. What Peter now knew was the truth about Jesus. He was totally correct years earlier in Luke 9:20 when he said Jesus was the Christ of God. But in Acts 2, that truth had sunk down deep in and there was no turning away. What Peter shows us is that when we know the truth about Jesus’ identity, we freely want to follow him with full commitment. There is a link, then, between the information of Luke 9:20 and the commands of Luke 9:23-27. When we realize the depth of what it means that Jesus is the Messiah, the Savior, the Chosen One, we will naturally want to give our lives to follow him. And so we need to ask ourselves, Self, do you really, fully get who he is? About ten years ago, a Christian researcher wrote a book discusses the main spiritual beliefs of American Christians. Just remember the letters MTD. Moralistic Therapeutic Deism. Most Christians he said believe that. Moralistic – God just wants me to have good morals. God wants me to be good. Therapeutic – God just wants to be my therapy buddy. God wants me to be happy. Deism – God is out there, but generally not involved. That’s MTD, Moralistic Therapeutic Deism. God wants me to be good, to be happy, and other than that, he’s not really involved. That’s how many people understand what it means to follow Jesus. But scroll back up there and read Jesus’ words one more time. We don’t serve an MTD God, and we don’t preach an MTD faith. Instead we say what Jesus said. Being a disciple of Jesus means full-blown commitment. The tricky part is how to deny yourself, how to take up your cross daily, how to follow Jesus through the many facets of our lives. What does a self-denier, cross carrier, Jesus-follower look like at the office, at school, at home, on the sports field, on the job, with your neighbors? I urge you to practice this self-denying, cross-carrying, Jesus following with love, with humility, with abundant grace. Preach the Gospel, the good news of love, by doing deeds of love before you utter the words of the message of love. Do your neighbors know you love them? Do your co-workers know you love them? Showing that kind of love might require loads of self-sacrifice. Showing that kind of love might require the pain of carrying your cross. Let us be a people that show we know Jesus is the Messiah, by doing what he did. I suspect Jesus he has already heard the murmurs in the crowds. Perhaps he has even overheard some from the crowd discussing this with the disciples. So far though it seems that this is not a topic that Jesus has brought up with his disciples. But Jesus hasn’t answered this question at all. That’s not to say there haven’t been answers. There have been loads of answers. Who is this? The one who calms the storm. The one who casts out demons. The one heals the sick and raises the dead. The one who empowers his disciples to grow his ministry. And last week, we got another astounding answer. Who is this? The one who welcomes the crowd, even when all he wants to do is get away on vacation. Who is this? The one who feeds the hungry, the one who proclaims the Kingdom of God where in is the only place to find satisfaction. Yeah, we’ve gotten a lot of answers. Few words. But lots of answers. Actions. They speak louder than words, don’t they? If you think about it, Jesus has answered the question Who is This? Many times, over and over, with a resounding answer: He does things no one else can do. But now he answers the question with words. And he goes on. Because not only will he answer Who is This?, he will also answer what we should do, what our lives should look like once we find out who he is. Get ready for tomorrow at Faith Church as we hear Jesus’ answer to the question in Luke 9:18-27.